Septic Systems are only as good as the contractor installing them. We have a long history of installing septic systems. With that long history comes experience. We have installed and replaced systems as small as for single family homes with averages of 600 gallons per day up to systems that support 9,360 gallons per day. 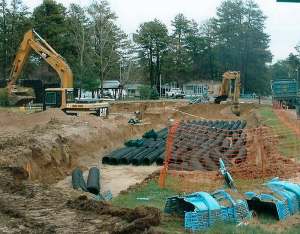 We have the equipment and the knowledge to help you along the sometimes confusing track of planning for a new septic system or repairing or replacing a poor performing system.